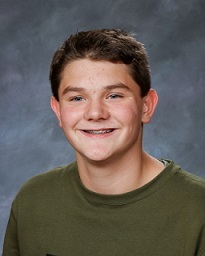 Rivers Cook, an eighth-grade student at Pioneer Middle School, was named the WIAA Boys Middle Level Star Student of the Month for March. Cook is a three-sport athlete participating in the school’s football basketball, and track and field teams. Cook has been described as loyal and humble by his teachers and is the first two help out when it is needed. As an older student at the school now, he has provided an example for younger students to look up to. He also gives back as a teacher’s aid and the RAK (Random Acts of Kindness) Club. On the court, Cook has shown much improvement during his middle school career. Head Basketball Coach Tim Trainor said that prior to sixth grade Cook hadn’t shown much interest in the sport. However, Cook’s improvement played a big part in the team improving from two wins in seventh grade to eight wins during the eighth-grade season. “In two short years he went from a body on the court to a major contributor and one of the best players that I have coached in my six years of coaching basketball at Pioneer,” said head basketball coach and guidance counselor, Tim Trainor. 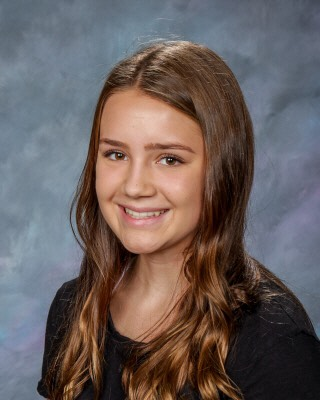 Ella Ferguson, an eighth-grade student at West Valley Junior High (Yakima), was named the WIAA Girls Middle Level Star Student of the Month for March. Ferguson competes on the school’s volleyball and track and field teams while also playing club volleyball. During the volleyball season, Ferguson greatly improved her hitting and blocking to become a well-round player. She was also described as a silent leader – someone who goes above and beyond because she knows it’s the right thing to do. In addition to playing multiple sports and excelling in the classroom, Ferguson volunteers at Camp Hope in Yakima, providing assistance and serving meals to homeless in the area. She has been an inspiration to her teammates and coaches, doing accomplishing all of this, both in and out of sports, while also managing her Diabetes.